ID tag measures approximately 21.37mm x 13.56mm (.84in x 0.53in). Also available in a larger 35mm x 20mm (1.37in x 0.80in) tag. 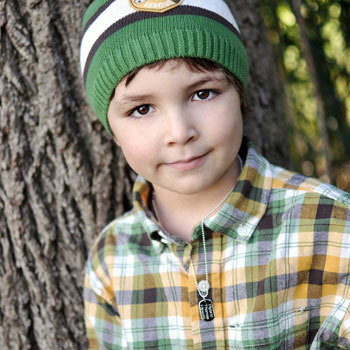 Little boy in photo is six years old and is wearing the 18" (Med Adult) - Ball Chain - (1.8mm). Step 2. Add to a Sterling Silver Chain (Optional). Step 8. Add Jewelry Polishing Cloth (Optional).